December 27, 2018 Blackbaud, Inc.
Digital transformation is a buzz word now in the social good space. But what does it actually mean? And why is it important that nonprofits and other social good organizations digitally transform? 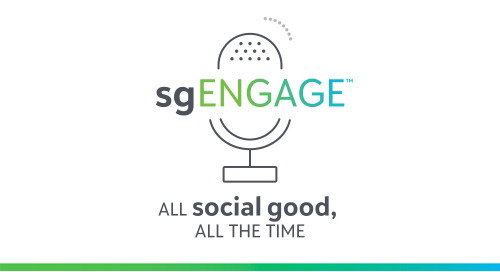 In this episode, which was recorded live at bbcon, you’ll hear from Jim Daniell, the Chief Transformation Officer for NetHope, which works with nonprofits and other social good organizations to change the world through the power of technology. Jim talks about what NetHope is doing with its Center for Digital Innovation, the non-technology related changes that are required for digital transformation, and how social good organizations can leverage technology to have a bigger social impact. Listen to the episode to hear more about how organizations can undertake their own digital transformations that push them and their impact to the next level. Video: What is Digital Transformation?